1. How did you get involved in military librarianship? I always say that I fell into my career as a librarian. My Godmother worked in DoD Personnel and she steered me toward working for the government. My first job was a Clerk/Typist position in the Library at the Federal Deposit Insurance Corporation. I took a few other jobs including a Personnel Clerk before I returned to libraries, first as a cataloger. I eventually got my library degree and worked for a few different banking agencies. In 2011 I left the government and after a couple of contract jobs I wanted to return and I applied for the Command Librarian position with the U.S. Army Corps of Engineers. My boss took a chance and selected me in August 2012. It has been a great opportunity and I’ve met and get to work with some really talented librarians. 2. How did you get involved in DMIL? My advisor at the University of Maryland encouraged me to join SLA while I was still in Library School. SLA has been a big part of my career and helping me keep up with developments in our profession. Over the years I met Sharon Lenius at SLA events. When I started working for the Army I immediately added DMIL as my Division. 3. What has been your best experience working for the military? Working for the Corps of Engineers I’ve been lucky to work with a number of really good librarians. I’ve been able to meet all of my librarians and visit their districts. It has been exciting to see how the work they do supports the mission of the Corps and saves money on projects ranging from dam repair and construction, levee maintenance, storm recovery and wetland reclamation. 4. What has been your best experience being involved in DMIL? DMIL has consistently put on strong programs at both SLA and at MLTW. The planners work hard to get good speakers with interesting topics. The other side of that has been the great camaraderie among the Military Librarians. Including the good-natured rivalry between the service branches! 5. What positions in DMIL have you held? 6. If someone were to visit your library or your town, what would you be sure to show them or recommend that they see? Since I work and live in Washington, DC there are so many great places to recommend. I do administrative work so I don’t work in a library. We do have a library that supports our HQ staff. Two of the places in DC that I would recommend are the National Botanical Garden at 4th & Independence Avenue, SW, and the National Arboretum on Bladensburg Road, NE. The Arboretum is a bit off the beaten path, but well worth the visit. The collection there includes our National Bonsai collection. 7. If you were to recommend one book, just for fun, what would it be? I recently discovered a Spanish author, Carlos Ruiz Zafón. He has several books, but I’d start with The Shadow of the Wind! I’m a career-changer. I will be graduating this December ‘18 with an MLIS from Florida State University. I will also have a certificate in Strategic Intelligence from the University of South Florida. My interest in military libraries has been an evolving process. 2. What has been your best experience working for the military? Since I’m not yet employed within the military sector, my “best experience” consists of a culmination of experiences that I’ve had throughout the multiple summers of completing internships in libraries and archives and other agencies within the Federal/Government sectors. I’ve worked in a Presidential Library, Regional Archives/ & Records Management Center, CRS, Naval Surface Warfare Center & 2 internships within the DOD. 3. How did you get involved in DMIL? When I joined SLA I saw that there was a chapter specifically for Military Librarians. I decided to join so that I could start to learn more about potential opportunities and how to navigate this avenue when I change careers. My first preference would be to remain in Florida (I already live in paradise), but I have concluded that I will have be open to relocating to other regions, particularly within the DMV. This past year, one of my personal goals for professional growth was to start attending conferences. Last December ’17, I attended my first DMIL conference. What made it a great experience was that I recognized a few of the librarians that I had met the previous summer while I was an intern in the NCR (DTIC and Quantico teams). Since I’m back in the area this summer for another internship, I also attended the SLA conference in Baltimore. I didn’t feel like such an outsider since there were several familiar faces. 5. If someone were to visit your library or your town, what would you be sure to show them or recommend that they see? Since I currently work and live in the Miami-Ft Lauderdale area, most people want to visit the beaches. I’d probably take them on a stroll down Las Olas Boulevard in Ft. Lauderdale and find an interesting place to dine. 6. If you were to recommend one book, just for fun, what would it be? As a former elementary teacher and Media Specialist, I enjoy children’s literature the most. One of my favorite books is The Wish Giver by Bill Brittain. There are some life lessons tucked inside the tale. Answered an ad and got the job as Librarian (Technical Information Specialist) contractor for the Navy Submarine Medical Research Lab, NSMRL. Submarine Base New London; Groton, CT. Already a sometimes active member of SLA since a student in 1994; NSMRL paid for SLA membership and conference fees. As a Navy Librarian I was encouraged by colleagues like Nellie Moffit, and James King to participate in the Military Libraries Division, MLD, SLA. A service member, dropped in to say thanks and told how his “Current Awareness” subscription of pushed articles and reports gave him the jargon, and program fluency needed to participate in meetings with Non-military and non-governmental agencies. His knowledge from the “Environmental Scanning” of recent and relevant information gave him credibility, authority, power. A tactical field medic described how he and his fellow medics discuss articles, learning new methods and techniques. Information services, literature access and full text PDF document deliveries improving a first responder’s treatment practices potentially saving a life or limb? Providing information products and services to warfighters, contributing to the individual’s development and success, and assisting in the enterprise’s mission accomplishment; whether arranging visits, tours and speakers as part of the research effort, providing assistance for those attending a service school, pushing reading materials out to the deployed, making training aids, country culture handbooks freely available; I strive to be relevant and useful, and derive, achieve a sense of purpose and contribution. Meeting with colleagues from throughout DoD sharing knowledge and passions for librarianship. I learned of the MWR’s Books for Troops program that provides paperbacks and PlayAway audiobooks to deployed personnel. MLW provided the opportunity for a face to face introduction with someone that understood my problem and connected me with the necessary office, individual, that has provided reading and informational materials for my deployed personnel for more than 8 years. At December’s 2017 MLTW, I got to put a name to a face, meeting with representatives from FEDLINK and SLA. Developing relationships in person enhances our acceptance of common problems and situations. These personal connections make it easier to communicate needs and resolve issues. MLW Norfolk “Go beyond metrics”, and the usual; door stats, ref stats, circ stats. Look for outcomes. Interview, ask, interact with community members and learn, share; where and how the Librarian made a difference? Chaired the 2012 MLW web committee. Presented 2017 MLTW. Headquarters for : FORSCOM, 18th Airborne Corps, US Army Special Operations Command, Special Forces Command, 82d Airborne Division. 7. Please recommend one LIS-specific book or article that you read recently that you found particularly good. What makes it worthwhile? Artificial Intelligence, AI a widely published acknowledged boon, threat. A Clear and Present Danger, AI, a disruptive technology, not well understood. 8. If you were to recommend one book, just for fun, what would it be? Better heard than read?! Read, narrated in the first person, the author gives many life lessons from his growing up “coloured” in a turbulent post-apartheid South Africa. Trevor Noah, now the Daily Show host, tells his story with laugh out loud humor covering a hard, dark backdrop of pain, and confusion. While I was in library school, one of my professors was a former DoDDS [Department of Defense Dependents Schools] Librarian. The idea of being able to live in foreign countries and practice librarianship was intriguing. The State of Hawaii had a hiring freeze when I was graduating so I applied for a variety of positions within the DoD. My first assignment was at Air University Library at Maxwell AFB, AL. My supervisor was very active in the Alabama Chapter of SLA, and within the first month I was involved with the planning of their annual event. Joining DMIL was a natural follow-on. I later attended SLA 2004 in Nashville and had my first exposure to a national conference. I’d say one of the most rewarding situations was to be able to see the end product of a research project being put into use by the Airmen it was designed for. I had been involved with the initial literature search before the project start, I had continued to provide research support throughout the life of the project, to include literature searches upon request and the review and submittal of the publications, briefings, and other STINFO generated. I then reviewed the final technical report and subsequently submitted it to DTIC. Lastly, I was offered the opportunity to visit the Silver Flag Exercise Site, located at Tyndall Air Force Base, Fla. During the seven day Silver Flag course, Civil Engineers, Communications, Force Support, and Finance personnel learn how to build and maintain bare-base operations at a forward-deployed location. I was able to observe the Airmen utilizing the methodology and resources that had been developed during the research project to rapidly repair the runway after an enemy attack. The opportunity to meet and share experiences with other librarians occupying a unique occupational niche. I’ve established life-long friendships whilst attending DMIL/SLA events. I now work at the Defense Technical Information Center, the DoD repository for science and technical information. As such, I don’t have a library per se, but instead we offer electronic access to the DoD S&T corpus. I’d recommend that they examine DTICs new product, PubDefense (https://publicaccess.dtic.mil). It houses the peer-reviewed journal articles of DoD- and ODNI/IARPA-funded research projects and is generated by a combination of publisher supplied metadata and submissions from the DTIC TR collections. The goal is to make DoD- and ODNI/IARPA-funded publicly releasable journal articles available through a single search portal. Of course we also have the ability to search our Technical Reports collection for completed research, URED for research in progress information, and host collaboration tools and the DoD budget information. If visiting the DC area, I highly recommend visiting the Kennedy Center for a guided tour as well as visiting the monuments at night. I started working at the Walter Reed Army Institute of Research in the spring of 2014. I started attending the breakfasts several conferences ago and have mostly have participated in some social events that they sponsored or cosponsored (Scavenger hunts, mystery outings). This year I saw the request for volunteers and figured I could try to do something if it didn’t conflict with anything in my schedule. Basically having a job again, even though I’m a contractor and am not directly working for the military. I do like the fact that we serve people who are working to end some nasty diseases even if my role doesn’t involve much direct public service. The social events have been fun. A number of the websites Sharon has posted are fascinating. None as of yet, I would be open to doing something if it fit within my schedule. We have one special (Smadel) collection in the back of the library. On top of some of the bookcases there are three historical maps of our country showing areas where you could easily contract malaria at different points in time. The most recent is 1882, but I just find the series fascinating—I had no idea how prevalent malaria was in our country in the past. Just one? Last fall I learned about the Jane Austen mystery series (Stephanie Barron). They feature Jane Austen as narrator and detective and are filled with all sorts of details about her life and times and people she knew and places she was. I’ve read six of them (not in order, the first one that crossed my radar was #12 out of 13) but they’re great fun. I brought #11 to Phoenix and that was the first one I figured out Whodunnit before the end. My husband is active duty military and I have been lucky enough to find work as a librarian on several military posts. At the suggestion of my boss, I attended my first MLTW in 2015. While there I was asked to get involved with the division. I thought what a great opportunity to step out of my comfort zone and learn more about the organization and the people. My first military librarian position was in Germany. What an amazing experience. I was so fortunate to have been able to travel and learn so much about the country and Europe. We had a great post library too! Sadly, Storck Barracks in Illeshiem is now closed. The best experience while in DMIL has been watching MLTW 2017 evolve from just a date to a complete workshop. I’ve had the opportunity to watch and help the development process take place; from discussions on who we should have present at the workshop to the registration process to what to serve for a Networking Breakfast. The commitment of and hard work by the committee has been inspirational. I would take them to our library and Learning Center of course! As the Home of Army Aviation at Ft. Rucker, AL our Tech Library houses a very unique collection of materials on aviation, military science and military history. The library is connected to the Aviation Learning Center which provides helicopter trainers for our flight students. Sometimes their equipment is even more popular than our materials in the library. I would recommend ADM Stavridis’ book The Leader’s Bookshelf. I recently read an interview with him about this book and was impressed at how strongly he stressed the importance of professional reading. His suggested readings will be an asset to our existing leadership collection. ADM Stavridis holds a special interest for me as well since I lived at SHAPE (Supreme Headquarters Allied Powers Europe) in Belgium while he was SACEUR (Supreme Allied Commander Europe). Right now I’m reading It by Steven King. I want to see the movie but decided to read the book first. The book it partially set in the 1980’s and it’s fun to be reminded of how things were 35 years or so ago – not even a glimmer of the smartphone. I am an Army veteran who discovered librarianship a few years after getting out, thanks to a book on display at my post library. When I learned about how many different settings librarians and information professionals work in the military, I was hooked. 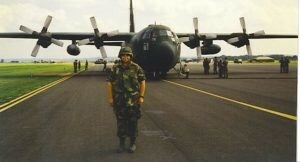 I’m still in grad school, so I’ll have to say it was when I was in the Army- preparing and deploying to Iraq. It wasn’t fun, but it was a wonderful growth experience. I came home much stronger, physically and mentally, and much better equipped to work as part of a team under challenging conditions. I have enjoyed attending SLA as a member of DMIL. But my best experience so far was attending my first MLTW. As a librarian-in-training, it was great to be able to just sit and listen to what was being discussed. For as much research as I had done beforehand, I was still amazed at how many different places and settings military librarians worked in. I live in Chapel Hill, right near the campus of UNC. Within 1-2 miles there is a botanical garden, a planetarium and all sorts of trails, to say nothing of dining and entertainment venues. But the one thing I would recommend to late summer visitors would be to catch a showing of the Paperhand Puppet Intervention in the Forest Theater on the UNC campus. It’s a spectacle of giant puppets set in a small stone amphitheater tucked away in a park on the UNC campus. It really is remarkable. I read an article from a recent issue of KM World, written by Judith Lamont, titled “Text analytics: not just for customer sentiment.” It discussed the predictive use of text analytics in scientific, medical and technology development settings as well as process automation and case management. The segment on a group in the FDA that used text analytics to solve current outbreaks of foodborne illness then used that solution to create predictive models of future outbreaks was very interesting. Learning that text analytics was being used in the legal industry to automate contract management was fascinating. At my house, we’ve been reading “Good Night Stories for Rebel Girls” recently. It really is neat to learn about all the amazing things the women profiled in the book have done. My favorite story so far is about a highly decorated British spy from WWII named Nancy Wake. I initially thought I would be a high school librarian, and had we stayed in Virginia, I probably would be doing that now. However, we moved back home to Colorado (I am a native) and the high school librarians were also the IT people. I really didn’t want to be an IT person, so started applying for various jobs around the city of Colorado Springs. My first job in town was as a substitute librarian for Regis library. Then I was offered the job of catalog/reference librarian at Peterson Air Force Base. Since this was a full time job, I accepted. The day I started working at Peterson, I received a call from Dr. Ed Scott, asking me to be a reference librarian at the Air Force Academy. I turned him down because I felt I owed it to Peterson to stay there more than one day. As time went on, the budget at Peterson was cut, and I worked 30 hours or less per week. When a cataloging position came open at the Academy, I applied and was hired. I had been a cataloger while in Virginia, so was happy to continue in that line of work. While at Peterson, I went to 2 of the DMIL conferences. I really wasn’t very active in DMIL, but hope to change that as I learn more about what there is to do. Meeting people and learning about all the different experiences that people have had. My husband spent almost 24 years in the Army, so learning the Air Force way of life has been different. 4. If someone were to visit your library or your town, what would you be sure to show them or recommend that they see? Our library is undergoing a change, but it is still beautiful. We have an amazing Special Collections Department that should be looked into if you come to the Academy. 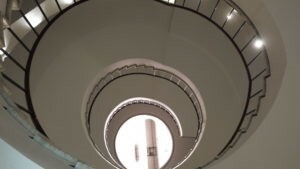 The signature item that many people remember is a free standing, marble circular staircase that extends for three stories. 5. Please recommend one LIS-specific book or article that you read recently that you found particularly good. What makes it worthwhile? I won the book, Knowledge Services : A Strategic Framework for the 21st Century Organization by Guy St. Clair from a vendor at the SLA convention. I started reading it, but then had to have it cataloged into our collection. I will check it out and continue to read it. I like to read newer books and articles in order to stay abreast of what is happening out there. Unfortunately, time to read work related items seems to disappear rapidly. I just finished Vicious Circle : A Joe Pickett Novel by C. J. Box. I like his books, as they are about the west – mostly Wyoming. He has a way of fleshing out his characters that I find appealing. Libraries and books have always been a part of my life. I remember Mrs. Sutton, our local librarian stopping off at the house to deliver a “new book” to my mother, so she could be first to read it. We received prized books as birthday and Christmas presents. I have continued that tradition and find “just the right book” for children of friends. To take it a step further I met my late husband, James K. Hudson, in the Donovan Library. It was 1978 and 90+ degrees in the desert of California. I was working in a Carnegie Library as a Children’s Librarian for the city of El Centro. The government had just announced that librarians could apply using an SF 171 to become Government Librarians. I was able to fit my experience into the small blocks. Six months later, I got a call “Uncle Sam needs you. Do you want to work as an Army Librarian in Germany? Let us know in 48 hours”. Three continents, 30+ libraries (main, branch, bookmobiles, remote site, prison), and 38 years later, I’m still a proud professional Army Librarian. I wanted to go TDY and meet other professionals at MLTW. We are not alone! We have a great network of professional librarians covering all branch of service and government agencies. I wanted to become more involved in that network. Moving into the Academic environment when I came to Fort Benning in 2000 was a mild shock. I was used to planning and implementing Children’s SRP programs in Germany. I found out quickly that customers are the same, just the questions are different. The hunt for the answer….continues no matter what age your customer is. They still want the “green book”. For the child it was coming to the Sullivan barracks library, after I had visited her classroom, and asking for the green book on fishes or for the Soldier at Donovan Library asking for the green books. I gave the girl the book on aquarium fish with the green cover, and led the Soldier to the WWII green books. I have also worked with at least ten Library Technicians and volunteers that went back to get their degrees in Masters of Library and Information Science (MLIS), and became Army, DoD or Academic Librarians. The best experiences are continuing. 4. What positions in DMIL have you held? I was a member of the planning committee and the registrant for MLTW in 2013 in Huntsville, and in 2015 in Washington, DC. My library of course, staff is friendly, helpful and knowledgeable. We have what you want or know where to find it, and our resources are free. They can come in person or access information through our Virtual Library branch at http://www.benning.army.mil/library/. The Donovan Library was an unknown secret to other libraries until we went virtual. We have a “one of a kind collection” of firsthand accounts of those Soldiers that went to war and came back to write about their experience in the Captains Career Course at Fort Benning. They may be found at http://www.benning.army.mil/library/content/Virtual/virtual.htm. There are many things to experience once the library closes in the Chattahoochee Valley and surrounding areas like walking the Chattahoochee River Walk in Georgia and Alabama. Trying out Southern comfort food at one of the many great restaurants in “Uptown” Columbus. Come in the spring to see the Azaleas in full bloom in Callaway Gardens before you head over to FDR’s Little White House in Warm Springs. Continue on to Plains, Ga., and visit the boyhood home of Jimmy Carter, who still preaches some Sundays at the Maranatha Baptist Church. Civil War buffs may tour Andersonville Prison Camp along with other Civil War sites and cemeteries and hikers can hike down to the bottom of Providence Canyon. There’s lots do in the Chattahoochee Valley. Y’all come down. 1 . How did you get involved in military librarianship? I first became aware of military librarians when I was stationed in Sinop, Turkey while in the Navy. When I decided to become a librarian, I remembered the library/librarian there and thought that becoming a military librarian might be a way to combine my love of service with my love of travel. 2 . How did you get involved in DMIL? I won a scholarship, as a student, to attend SLA in Nashville. Because I knew I wanted to become a military librarian I made sure to network heavily with DMIL at that conference. After the conference, I also used my DMIL contacts to complete coursework in my special libraries class in a blatant attempt to extend my network and search for more post-graduation employment opportunities! 3 . What has been your best experience working for the military? I have had many wonderful experiences working for the military. I am very aware that, as a military librarian, my job is to help inform and educate members of a community who make some of the most difficult and critical choices facing our nation. The aspect of librarianship that has always been most important to me, though, has been access to information. In my current position with the Nashville District of the US Army Corps of Engineers, I have uploaded troves of information to the USACE Digital Library (UDL). The UDL is an invaluable tool that allows me to give the public access to a wide array of previously inaccessible information. This includes the 1937 and 1939 Cumberland River Flood photos, maps and charts that show the Cumberland River before we built most of our modern locks and dams, and photos of some communities that no longer exist because of some of those projects. Some of these photographs have been used in local history books. I love how truly helpful and supportive the members of DMIL are. From my very first conference the librarians I met rallied around me and tried to help me find a job. They helped me further my network and encouraged me to apply for positions. From that point on, any time I seriously applied for positions I had people who could help me. As a librarian, I have a community I can turn to for professional advice. I also enjoy moving frequently (too frequently, according to some of my mentors…). Whenever I decide to change positions, I have mentors in each of the services who can usually tell me something about the position I am considering and offer suggestions about applying. In all, DMIL is a very knowledgeable community that is very willing to share their experience and knowledge with others. I have been a planner twice – San Diego and Philly. What is nice is that, more and more, people don’t have to actually visit my library to see my show-and-tell type items. You can also see these things digitally. When I know that I’m going to have visitors I usually put out items that show both the history of our district and highlight what I have been doing to provide access to our historical items. For example, I might display a flood photo book. Most of our projects were created primarily for flood-prevention, and the flood photos highlight the importance of that mission (http://cdm16021.contentdm.oclc.org/cdm/ref/collection/p15141coll5/id/1772). Depending on the visitor I might put out the book(s) that were created using resources that I had put into the UDL. This highlights the value of making these resources available to the public. I might also print out covers of items that I uploaded into the UDL for public review. For people visiting Nashville I always recommend a visit to the Parthenon. It is a replica of the one in Athens created for the Tennessee Centennial anniversary celebration. The interior hallway has a nice history with photos and objects describing the celebration. It also has a so-so permanent art exhibit, but the rotating exhibit can be very nice. The gallery with the statue of Athena is great, though, as are the replicas of the Elgin Marbles. It’s historical kitschy fun. Nashville also has plenty for those who are into Civil War history or country music. The food is really good, too. One?! Nice try! I just finished Maria Semple’s latest so that makes me think of Where’d You Go, Bernadette? It was a very light-hearted, humorous novel. For any wife/mother that has ever dreamed of running away from home, though, I just finished Leave Me by Gayle Forman and really enjoyed it. Pure escapist fantasy. You didn’t think I’d really only suggest one, did you? I’ll show a bit of restraint, though, and leave it there. 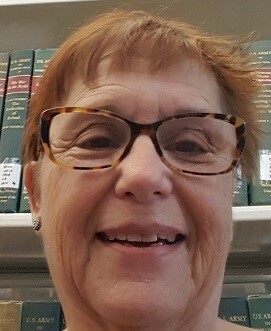 I got involved with military librarianship by landing my first professional position–as director of Maxwell/Gunter Base Libraries at Maxwell AFB, Montgomery, AL. A few years later after some job and life changes, I joined the Air Combat Command Information Research Service Center at Langley, AFB in Virginia. That December, I attended the MLW in Monterey, CA. Listening to dedicated DMIL members speak, I thought, hey, I need to be involved, too. I love being an Army Civilian for the potential it offers to work in any state and many countries overseas while staying with the same “company” so to speak. I enjoy the diverse workforce. I’ve interacted with over the years especially at the Presidio of Monterey. I equated working for the Defense Language Institute there to having a world tour come to me. I doubt I’ll work amongst a more richly diverse group of professionals ever again. I cherish the many lessons I learned and the cultures to which I was introduced. Best experience of DMIL is continuing to learn from my dynamic colleagues who keep me inspired through their commitment to the profession. Enormous effort goes into making MLTW’s happen and they are so important in terms of networking and shared problem solving. Now that I am working in the equal employment opportunity career field, I appreciate the value of DMIL even more–there’s no equivalent for army EEO specialists, but the same need for networking and shared problem solving exists. I’ve enjoyed being part of the Resources Committee for several years and look forward to many more! I’ve also served as Membership Chair and Student Liaison. I’m currently at Tooele Army Depot in Tooele, Utah. Tooele is pretty small but the landscape is spectacular and one has to see the Great Salt Lake. When I was at the Presidio, I’d usually take visitors to see the Berlin Wall monument. A family donated three panels of the wall for DLI to display on its grounds. It’s a must see! I recommend Marshall Breeding’s Library Systems Report 2016. So much information there about trends and who is doing or is no longer doing what. I recommend reading Mr. Breeding’s report every year for its thorough to-the-point coverage. 8. Please recommend one LIS-specific book or article that you read recently that you found particularly good. What makes it worthwhile? Since we’re nearing the holidays, for fun I recommend Truman Capote’s “A Christmas Memory.” Yes, it’s a short story nestled in various Capote collections–go ahead and read the rest of the compilation. Proud to promote a fellow native Alabamian! 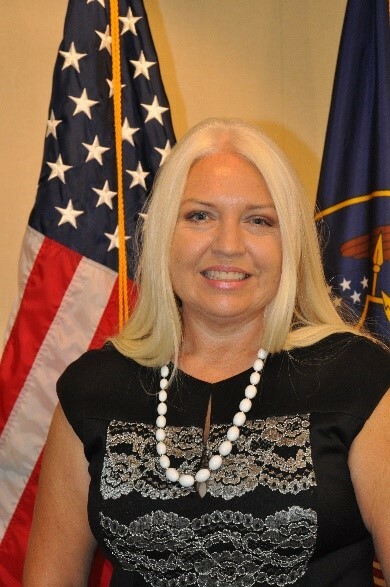 My husband was a career naval officer and I knew that becoming a military librarian increased my chance of finding a job. I was very fortunate that during his military career I was always able to find a job, with no break in service. When I was working at the Ft. Story Post Library in Virginia Beach my boss, Carl Cannon was active in the Virginia Chapter of Special Library Association. He got me involved in that and also brought the Military Libraries Division to my attention. It was a natural fit. I was mostly an Army Librarian, despite being married to a naval officer. My most unusual experience was probably deploying to Taszar, Hungary as an MWR specialist, in support of Operation Joint Guard. We trained along side Army soldiers, contractors, and civilians first at Ft. Benning, then at Hohenfels in Germany. We finally got specialized MWR training in Heidelberg where we learned how to prepare brackets, given an overview in repairing some sports equipment, learned about paperback book kits, Army entertainment program, and other things. The deployed MWR specialists came from all of the different recreation branches including sports, outdoor recreation, arts and crafts, library (me), rec centers, auto crafts, and theater. It was the first time I lived almost like the military–wearing the same uniform, living in the same barracks, eating in the dining facilities. We did not have to carry weapons with us, although we did have to qualify with M-16s before leaving Ft Benning. I have really enjoyed the comaraderie of other military library staff. We are a special bunch who provide library and information services to all branches of America’s military, their families, retirees, and authorized civilians. I was chair elect, chair and past chair from 2003-2005. I was director-at-large for the SLA centennial in Washington DC in 2009. I was webmaster for several years in the 1990s and early 2000s. I was also copy editor for the Military Librarian, and have served on the resource and finance committees for several years. Most recently I have been assistant discussion list manger. We now live in San Diego and I volunteer in the library of the USS Midway Carrier museum. It is the most successful ship museum anywhere. The Midway was the longest serving air craft carrier in the 20th century. It was commissioned in September 1945, shortly after WWII ended and served through Desert Storm, before being decommissioned in April 1992. She was recently named the 6th best museum in the United States. I would definitely recommend the USS Midway. My favorite LIS related book is This Book is Overdue by Marilyn Johnson. She focuses on both real and virtual libraries. Most books do not pay much attention to virtual worlds. I met Marilyn’s avatar in Second Life, when she came in world to give a book talk shortly after her book was published. Marilyn was also the featured closing speaker at the 2016 SLA annual conference in Philadelphia. I am currently reading Harry Potter and the Cursed child. I love the scene where Hermione, who is now the Minister of Magic, has put a spell on her bookcase so people can not carelessly rifle through her collection of books on Dark Magic. There have been times in post libraries, particularly in the children’s room, where I wish I had had such a spell when parents have looked the other way while their darlings remove every book off the shelf and throw them into a pile on the floor. 1. How did you get involved in military librarianship and in DMIL? When I earned my MLIS degree, my first professional job was as a music cataloger at the Northwest University Music Library. My team lead was chair of the local chapter of the Music Libraries Association, and my department head was past president of MLA, so I joined MLA and started participating in committees to make connections and learn about the profession. When my wife got a promotion and relocation to build a lab in the I-95 Tech Corridor outside Boston, the first job I found was a contract cataloging job at a place called the MITRE Corporation. A year later, I was hired on full time. Within a few years, my team lead was chair of the local chapter of the Special Libraries Association, and my department head was president of SLA, so again I followed them, joining SLA, and looking for a place where I could learn more about the profession. The MITRE Corporation fulfills federally funded research and development contracts for many U.S. Government agencies, including the DoD. My key customers were focused on systems engineering across the corporation, so I needed to know about all of MITRE’s sponsors. I wanted to learn more about the military and about library work for the military, so I joined the Military Libraries Division of SLA. 2. What positions in DMIL have you held? I started as a member of the Bylaws Committee, and became its chair after a few years, helping to update the Governing Documents and Division Practices. I became Strategic Planning committee chair and Chair-Elect in 2012, then served as Chair in 2013 and Past chair for 2014 and 2015. My best experience was helping to create the MITRE Systems Engineering Guide, a set of over 100 articles written by MITRE systems engineers, sharing their experience about how MITRE does systems engineering. This Guide became popular enough within MITRE and MITRE’s sponsors that the company got it released to the public, so I have been able to share it with my DMIL colleagues. Attending conferences and workshops, meeting my DMIL colleagues, and learning about the incredible variety of military library work – from research libraries to base libraries to academic libraries, to law, tech, and medical libraries, the military community has a wide spectrum of opportunities for librarians. Meeting people and hearing their stories, and hearing how they handle the challenges they face, is an enjoyable benefit of being active in this Division. Living in the Boston area means access to a wide variety of sights to see. Before I had children, my favorite was the Isabella Stuart Gardiner Museum, with its indoor garden and jam-packed rooms of exquisite artworks. Now, I prefer the Museum of Science’s hands-on activities, and the New England Aquarium’s giant cylinder with turtles and sharks, and their cuttlefish tank. Not one book, but three. I love films by Hiyao Miyazaki, including Howl’s Moving Castle, so when I saw that book in an Audible promotion, I knew I wanted to listen to it. What I didn’t know was that Diana Wynne Jones wrote two more books in the series: Castle in the Air, and House of Many Ways. These books provide complex positive characters, well-structured magical worlds, and entertaining idiosyncrasies of dealing with daily life in magic-infused living quarters. I enjoyed listening to them on my commute, and now I am listening to them with my sons. 7. If you were to recommend one article, just for fun, what would it be? The “200 Happiest Words in Literature” in the July 2016 issue of The Atlantic. Researchers crowdsourced the 10,000 most used words in a set of literature, to ask if the words were happy or not, and ranked all 10,000 words. The article includes the 200 happiest words, including words on family, friends, love, accomplishment, nature, celebration, and humor. Two days after reading the article, I was already giving a speech to my local Toastmasters club about the list. Just reading through the words brings good thoughts to my mind and a smile to my lips. I am actually a vendor who is responsible for sales to the federal government for my employer. From the very first time I attended MLW I fell in love with the military librarians and have been a big supporter ever since then. It was one of the chapters I picked when I joined SLA. I belong to DMIL and DGI as well as my State chapter. I think the best thing we can do as vendors is support our patrons while I will freely admit that is not my primary reason for hanging around. Most of you have become friends and many of you are not customers and will never be customers. DMIL as a community really reached out to me. I highly recommend vendors getting involved in the communities they support for networking and to become familiar with the unique challenges military librarians face. I just love the open nature of the military librarians. They are witty, honest and straightforward. I like that so many of them are well traveled and have wonderful stories to tell. Frankly, I don’t think about any of them as customers, just friends. I absolutely love the MLW conference. It is my favorite conferences and I feel well treated when I am there unlike any other conference where all they care about is your money. I have been on the planning committee several times and have been the corporate director when it was a viable position. I currently am the Unit Planner for SLA 2017. Our beautiful bridges that were built by and with the Army Corps of Engineers. We have protected waterways and marshes so it has been a long term project connecting all our barrier island beaches to the mainland. Two of my recent reads were “Why Epiphanies Never Occur to Couch Potatoes” by Mark Amtower and Change to Strange by Daniel M. Cable. I mostly read for enjoyment but this year vowed to read one self help book for every fiction novel. I really enjoyed Extreme Measures. I love all the books by Vince Flynn and am working my way through the series. I secretly think I am getting an inside view of spying and behind the scenes government operations. Probably all fantasy but I let myself be a secret agent during that time. My background is different than most military librarians. 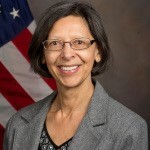 My 32 year federal library career was split between 18 years in civilian agency libraries (Government Printing Office and FAA) and 14 years in military libraries (Navy Tactical Support Activity, Naval Air Systems Command, Office of Naval Intelligence and the Defense Technical Information Center). While employed at the Government Printing Office, I applied for a position at the Navy Tactical Support Activity in 1987 and my military library career began. The job was to oversee 21 contract employees on 3 contracts with a budget of 3 million as head of the Fleet Mission Program Library. This was a great opportunity to develop experience in management and as a Contract Officer’s Technical Representative (COTR). It was quite a change from being a cataloger and later a reference librarian at the Government Printing Office. While employed at the Naval Air Systems Command (1990-1993), my supervisor, Pat Ames showed me an article she had written about moving the library’s collection for DMIL’s newsletter. This was my introduction to DMIL in 1992. When I returned to military librarianship in 2003 I joined the division and started attending MLD conferences and SLA Annual. This one is tough. When employed at ONI in 2003, I was able to retrieve an Al Queda Training Manual from an open source Manchester England Police public website in just 15 minutes that the analysts needed on an ASAP basis and could not find because they assumed it was classified. The document was then made available for use by the entire intelligence community on an in-house system. They say you save the best for last. My best experience in DMIL was as Lead Planner for MLTW 2015. It was great to see how a small dedicated group of people can come together and through hard work make the workshop happen. I was co-coordinator of the ill fated MLW 2012 and Lead Planner of MLTW 2015. I have not held any formal positions in MLD. Since I’m retired I would recommend the National Air and Space Museum’s Udvar-Hazy Center in Chantilly, VA. The collection of military and civilian aircraft and artifacts is wonderful. There is a great archives section as well. 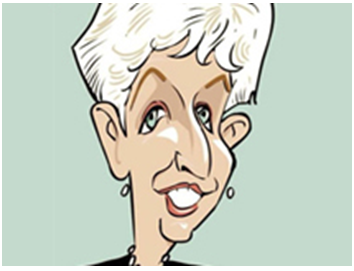 “10 Questions: Lois Ireland” Information Outlook, November-December 2015. The article is actually an interview. What made it worthwhile was how Lois demonstrated how important it is to be flexible on the job and how traditional library skills can be transitioned into all types of information service organizations. As she states in the article “Its not about the place and its not about the staff. It’s about service. Train Tracks: Family Stories for the Holidays by Michael Savage. It is not a political book. It is a collection of essays and short stories about his childhood. I was actually recruited by the Army. They used to visit graduate schools to solicit and interview candidates. There were no jobs in Europe when they came, but the end of a freeze called for multiple individuals. Who’s more ready to go than a recent graduate with no position? I joined both ALA and SLA as a result of a professor saying we should do this as part of our profession. I am still grateful to them and pay my membership as they really saved our grades back in the 80s when OPM wanted to reduce us. A great investment as all salaries would have been a grade or so lower. I really did not become active in DMIL until I moved to the DC area. I really liked working in the Training Areas in Germany. The troops were out there in the mud or dust and whatever weather came their way. When they could get a break it was nice to be there with books. In Grafenwohr, we actually had a jeep trailer conversion with shelves and paperbacks arranged by genre so they could find something they liked and, hopefully, exchange them with others when they finished. No matter how many layers, insoles, etc. I had, I can still remember the cold feet. We were only out an hour, but they troops were so grateful. Being involved with MLW’s [Military Libraries Workshops] (now called MLTW’s [Military Libraries Training Workshops]) and learning how much goes into an event like that. In the DC area, there is a Military Libraries Group and we program locally. Being involved really makes one realize why events are as they are. I was secretary-treasurer back in the early 90s. SLA had just been audited by the IRS so all the treasury information had to be put in Quicken ASAP. I am soooo not a numbers person. I went to SLA HQ and they got me set up and trained. At that time MLWs were operated on seed money with each institution/host opening an account, using the funds, and providing an audit trail with the returned funds. There were 2 accounts still not closed out and 2 events in process. I was also secretary. The theory was, the jobs could be combined. With others doing the accounting, there was time. Post audit, however, we had to follow the SLA rules and all funds had to be handled through me. Is it a big surprise I decided to stay in supporting roles in the organization and let others occupy the elected offices? I learned a lot, though. The Marine Corps Museum. Closed at the moment for expansion (semper fi! ), it is what I call new museum technology where visitors are invited into scenarios like a landing craft. Faabulous! Also nearby is Mt. Vernon, home of our first Commander in Chief. We are blessed here in Northern Virginia. The book that pops into my mind is not strictly a library title, but in my position (Outreach) Made to Stick: Why Some Ideas Survive and Others Die (Heath and Heath, 2007) has the message I need. It’s not new but worth mentioning. Since libraries constantly need to reinforce our value, this emphasizes how we can get our message across with impact and have it retained. A book I saw in many military libraries in my past is Gilkerson on War: From Rocks to Rockets (1963). It’s an adult picture book on the history of war. I love the author’s unique method of presenting history irreverently through his drawings. I hope it hasn’t been weeded due to not being traditional or fitting (oversize). I asked for and received it as a present from my family and can now enjoy it anytime. I was hired as the Chief, Reader Services, Armed Forces Staff College (now Joint Forces Staff College) by Margaret (Maggie) Martin, in 1983. My father, a Navy Civil Engineer officer, was in charge of building some of the houses on the college compound, and he encouraged me to try to get a job in the library there. Up until that point, I had worked almost exclusively in academic libraries. It was very tough to break into US Civil Service in those days, but because I had been a science librarian, there was a waiver or special entry path available, and I was given Civil Service “status,” and eligible for library positions. 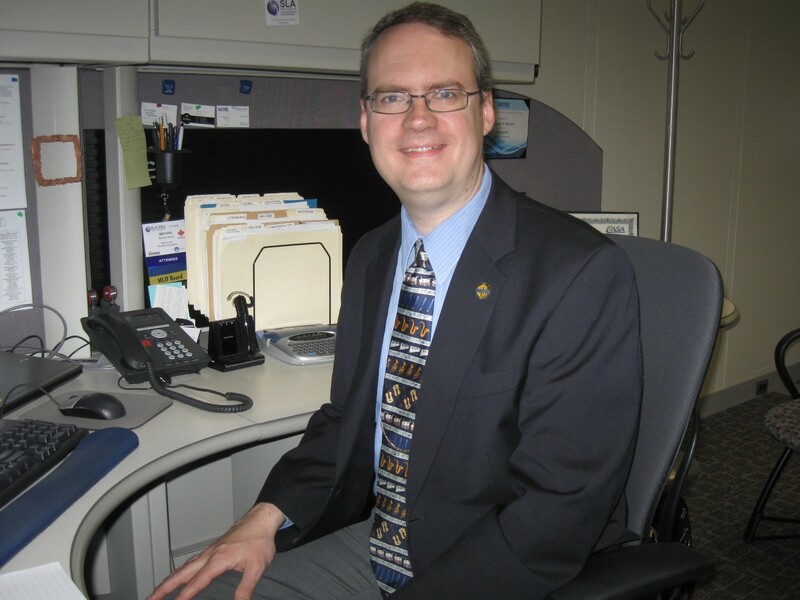 I came to the Staff College from Old Dominion University, where I was the chief of Collection Access Services. I owe it all to Maggie. Although I had been a member of SLA for some years, she was very emphatic about the importance of joining the Military Libraries Division. She told me about the great group of people I would meet if I joined, and she also emphasized the importance of the annual workshop. My best experience was, without question, working with the students at JFSC. Especially after the Joint Advanced Warfighting School became a reality, and I was able to work with students who were researching and writing their theses. Another high point was working with General Donn Starry, Commanding General of TRADOC and Commander in Chief, U.S. Readiness Command, on a history of the College. Planning MLW 2011, “Riding the Information Wave,” in Norfolk with Maria Ruckman and a fabulous team of librarians from the College and from the Hampton Roads area. We spent most of a year planning the conference and had a terrific time! Membership Chair, MLW Chair, DOD Director. For sure the Battleship Wisconsin on the Norfolk Waterfront, the Hampton Roads Naval Museum next to the Wisconsin, the MacArthur Memorial Museum, the Chrysler Museum, and the Norfolk Naval Station. I’ve changed careers since retiring from JFSC, and am now an adjunct professor in the School of Public Service, Strome College of Business, at Old Dominion University. In this second career I teach two courses that I developed specifically for MPA students. So, two books that I am reading now and recommend highly are in the field of public administration: “Smart Communities,” by Suzanne Morse, and “Tackling Wicked Government Problems,” edited by Jackson Nickerson and Ronald Sanders. The two courses I teach are Community Engagement and Wicked Problems in Public Administration. Hmm – anything by Janet Evanovich. I’m reading “The Scam” right now. 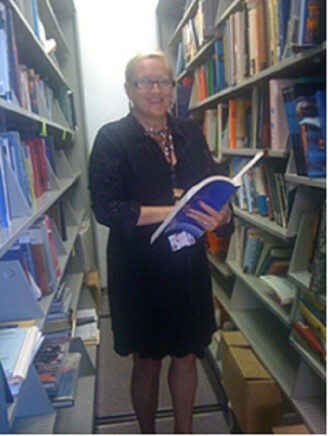 ​I came into military librarianship after being an college librarian and professor for 28 years within the State University of New York (SUNY) system. I worked at SUNY Morrisville College for 23 years before going to work at Tompkins-Cortland Community College. After five years there my position was not renewed. I took retirement with the intent of continuing to work. I finished at the college on a Friday and was retired for two days as I started at AFRL Information Directorate as a contract technical librarian. I had been a member of the student chapter of SLA while in library school at Drexel University. I looked into rejoining SLA and found DMIL so I joined. After several months I saw a call for volunteers to get more involved in DMIL. The rest is, as you might say, history. ​This is a difficult one to answer as there have been many great experience the past four years. The best part is the people I get to work with every day. I have met many brilliant people doing some of the most critical and interesting research in support of our modern warriors. The most gratifying experiences are my conversations with many of the uniformed personnel serving at Rome. ​4. What has been your best experience being involved in DMIL? ​The best experience in DMIL again involves the great people within the ranks of military libraries staff. I have learned a great deal from many long time DMIL members that helped me do my job and helped me to improve our service to our users. Many answered what now appear to me to be very naïve questions about working in a military research and technical library. They did this without even a visible laugh or guffaw. ​5. What positions in DMIL have you held? ​I have only held one position within DMIL. I serve as the web master which currently includes the website and blog, Facebook page, and Twitter. ​6. If someone were to visit your library or your town, what would you be sure to show them or recommend that they see? ​Our library is small but our space is a great space especially when it is filled with people. I would have them sit and watch the buzz going on. ​I live in the heart of the Finger Lakes, 85 miles from where I work. I would point people to the beautiful gores and water falls around where I grew up in Ithaca, NY. This area is one of the most beautiful spots in the country. ​While not technically an LIS book, I am currently reading The Reluctant Entrepreneur: Making A Living Doing What You Love by Mary Ellen Bates. Mary Ellen is a long time member of SLA and her book is about running a profitable business and enjoying it. I have done consulting and training in the past and hope to do so again in the future. I am using her book as a guide for that future effort. ​8. If you were to recommend one book, just for fun, what would it be? ​I am currently rereading a science fiction series I read when I was a kid, The Lensmen series by E.E.”Doc” Smith. It is great fun and a great escape from reality. It is also intellectually stimulating at many levels I did not notice as a kid first reading it in the late 1950s. He created the space opera. 1.How did you get involved in military librarianship? How did you get involved in DMIL? I lucked into working for a military library! I live in a pretty small town area in the Florida Panhandle (aka- LA-for Lower Alabama). There are only about 160,000 people in Bay County- where my job is- and 62,000 people in Walton County, where my home is- so there are not a lot of choices for librarians! I started at Gulf Coast State College working 20 hours a week and waiting tables on the side. Then I met a wonderful woman who was the librarian at the National Marine Fisheries Service, part of NOAA, and she was retiring! I told her I was VERY interested in her job and would love to interview for it! Her job had been downgraded to a part time contracting job for the Federal Government, but with my 2 part time jobs, I almost had a full time job- same hours- no insurance! I became involved with the NMFS, the National Marine Fisheries Service Librarians, and they are a very active group! I went to my first professional conference in Portland, OR and realized how important it is to meet fellow librarians! I worked both jobs for a couple of years when I got a call from the librarian at NEDU (Navy Experimental Diving Unit), Bonnie Davis. She wanted to borrow a book and I told her to come on over and I would loan it to her. Once again my lack of shyness in asking for a job came in handy. When we met, I gave her a tour of the library I had just MOVED and we got along great! As she was leaving I casually said, “If you ever retire, give me a call!” Well, six months later I was working with Bonnie as a contractor, learning her job as she prepared to retire! I became a civil servant in 2010 and never looked back! Bonnie was very active in MLD and encouraged me to join SLA and become a part of MLD which I did. The Military, for those of us who have never served our country in that way, is a very different kind of place to work. As a librarian coming from an academic and somewhat corporate background, I had a lot to learn. Adjusting to not being able to upgrade my own software and to add a plug-in if needed has taken a while to get used to, but I am very proud to serve my country in this way. I love to hear the Star Spangled Banner played at 8:00 in the morning every day, I love working on cutting edge research to help our military be able to do more and to do it safely, and I love feeling that I am serving my country. Since NEDU is the premier diving research facility, it is one of a kind. We have many documents and artifacts that can never be replaced so my favorite part of working as a military librarian is creating the archive that I am now doing. Since I am a solo librarian also, this project is taking a long time, but as I learn more and finish more digitization projects, I know that I am getting closer and closer to my goal! For the past couple of years I have not been as involved with DMIL as I would have liked. I’ve been serving on the board of the Florida/Caribbean Chapter and trying to help get people more involved in our Chapter. Florida is a very long, wide and weird state. We have 2 time zones! As a state chapter, it just doesn’t work well. Anyway, now that it looks like some issues have been decided there, I would like to get more involved with DMIL again. Maybe I can write an article for the website on my archive experience! 2. If someone were to visit your library or your town, what would you be sure to show them or recommend that they see? As for visiting the Panhandle of Florida, one must see the beaches. I know it sounds trite, but I’ve been to beaches from Hawaii to Australia and the MOST BEAUTIFUL BEACHES in the WORLD are on the Panhandle of Florida. We have what’s called SUGAR sand and it squeaks when you walk on it! I would also take them to see where I work and the Ocean Simulation Facility where the sailors dive to test equipment. It can be set to go to 2000 feet below sea level and the water can be made to be anywhere from 32 °F to over 100 °F. 3. Please recommend one LIS-specific book or article that you read recently that you found particularly good. What makes it worthwhile? As far as interesting books I have read lately, “Designing the Search Experience: The Information Architecture of Discovery” by Tony Russell-Rose and Tyler Tate and “Ambient Findability” by Peter Morville. I am thinking of going back to school to get my Doctorate in Information Architecture so I’ve been reading up! 4. If you were to recommend one book, just for fun, what would it be? My “fun” book is an art journal called “Raw Vision”. If you like Outsider Art, you should check it out! 1. How did you get involved in military librarianship, and in DMIL? I took a long, indirect route! It’s important to start all of this by saying that I’m a bit of an odd duck in that I’m not a librarian at all, nor have I held a job that would typically be associated with membership in our organization. I first joined SLA a bit over a decade ago when I was a strategy consultant and trying to build out a new research group in our firm and was looking for job candidates. At the time, I was consulting to corporate boards, and was looking for people who were skilled in business and law librarianship. A few years later, I switched firms, and started doing more consulting work to the military and federal government. I joined the Military Libraries Division at that time, largely for the same reason I joined SLA originally – to recruit great candidates. A lot of the work I was doing involved working with intelligence analysts and researchers, and we needed people on our team with those same skills. Four years ago, I switched jobs again, but kept my affiliation with Military Libraries Division because of my personal interest in the work they do. My current position is the first one I’ve held: Director and 2015 Conference Planner. 3. How did you become DMIL Director for the SLA Conference in Boston? What experiences from the conference were most memorable for you? I originally ran for the position years ago, but lost out to a really fantastic candidate. About 14 months ago, she had to step back due to personal and professional obligations, and our Chair called to ask if I might still be interested. I stepped in, and it’s been a rollercoaster ride ever since! I’ve lived in the Boston area for almost 20 years, and I’m thrilled to see the conference here this year. This is a city with so much history and ties to the military – from being the birthplace of the revolution, to the home of the USS Constitution, to the fact that it’s the center of the robotics industry today. It’s also an easy city to get to from other parts of the East Coast, and as a result, we were lucky this year to be able to get a great speaker from Washington, DC, Navy Commander Benjamin Armstrong, to come and talk to us about leadership. Commander Armstrong is an award winning author and historian who has published widely on naval history and strategy, including the books “21st Century Mahan: Sound Military Conclusions for the Modern Era” and “21st Century Sims: Innovation, Education, and Leadership for the Modern Era.” He has lectured on history, strategy, and innovation at U.S. Special Operations Command, the Naval War College, and the Defense Entrepreneur’s Forum at the University of Chicago. A graduate of the US Naval Academy, he holds a master’s degree in military history from Norwich University and is currently a PhD candidate with the Department of War Studies, King’s College, London. He is a Commander in the U.S. Navy who has served as a search and rescue and special warfare helicopter pilot during numerous deployments to the Middle East, coastal Africa, and South America, and ashore he has worked as an instructor pilot and as a strategic analyst in the Pentagon. 4. What was the most fun place you visited in Boston? The city itself. This is one of those wonderful places where just walking around is entertainment. From the architecture that combines colonial elements with modern structures, to the street performers and musicians, to boutique storefront windows, to all the wonderful parks and waterfront, you can be entertained without spending a dime, and without ever having to go inside. I’ve got three great libraries I’d take people to visit. The other two libraries are both at Harvard, where I’ve worked for the last four years. For anyone interested in business, the Baker Library / Bloomberg Center at the Harvard Business School is a must-visit. I’m just completing a graduate degree in history, and have been digging through their archives for the last two years, and never cease to be amazed at the materials they have, and how wonderful the staff are. 6. Please recommend one LIS-specific book or article that you read recently that you found particularly good. What makes it worthwhile? This is going to sound like an odd choice, but Umberto Eco’s book “How to Write a Thesis” was recently published in English, decades after he wrote it in the original Italian. It is, in some places, archaic – he talks about notecards, using address books to organize your subjects, and making sure you have change for public phones. But at the heart of the book is an examination of how you organize information, guidance and mentoring for researchers who may be struggling or unsure of how to proceed, and an acknowledgement that research and writing demand so much of us, often more than we want to admit. I like this book because it’s a good reminder that despite how much has changed in our field (physical books to ebooks, publications to databases, in-person to virtual), at the heart of things, it’s all the same. Twenty-something years ago, I read “Gates: How Microsoft’s Mogul Reinvented an Industry – and Made Himself the Richest Man in America” by Stephen Manes and Paul Andrews. It’s one of those books that has just been stuck in my head ever since, undoubtedly because I’m interested in both business and technology, and Bill Gates is one of those historical figures who you can honestly say transformed the world in many ways. I remember the book being a page-turner, insightful, engaging, dramatic, suspenseful, detailed, all the things you want a book to be (especially when that book is about 600 pages!). Over the years, I’ve wondered if the book was really as good as I remembered it. If I re-read it, would it hold up to my memory? Or would it be like revisiting an old summer vacation spot and finding it wasn’t idyllic but instead run down, or going back to your old elementary school and finding it small and enclosed, not the large magical place you remember it being? I’m about to find out. I have two long train rides in July, and just downloaded a copy to my Kindle, and I’m going to re-read it. You should read it, too. If it’s only half as good as I remember it, it’s worth your time. I was active duty Navy and after leaving the service I was still drawn to supporting the DoD so I looked for employment on USA Jobs. My first job as a military librarian was at the Lane Medical Library, Evans Army Community Hospital, Fort Carson, CO. I have been a member of DMIL since I was a student member of SLA. I joined all the divisions that I had an interest in, and since I was prior enlisted, DMIL was one of the first divisions I joined. 3. What has been your best experience being involved in DMIL? My best experience with DMIL is attending the Military Libraries Workshop, because I was able to meet military librarians from around the globe and learn how they handle similar situations most common to only DoD libraries. Although I’ve been a member of DMIL for 10 years, I’ve only held one position and that is the current Membership Chair. My library is in the Pentagon, which is itself a living museum. I would want to show them all the highlights – Pentagon Memorial, Chapel, Joint Staff and Secretary of Defense corridors, Women in Military Service corridor and of course the purple fountain. Great introduction to legal reference for non-law librarians. While I was in Library School at the University of Southern Mississippi, the Library Director at Keesler Air Force Base opened created a “Librarian Trainee” spot for two students to share one position (alternating semesters). I was hired as a GS-7. This was similar to an Intern position. Once I graduated, I was placed into a full time position at Columbus Air Force Base. I’ve worked for DOD my entire career. I started attending MLW in 1998, but it wasn’t until a few years later when my kids were out of school that I was interested in becoming involved. That’s when I joined SLA & DMIL. I tell people I’ve worked in 5 different states, all with the same employer. I can also say I’m purple—I’ve worked for the Air Force, Navy, and now the Army. I’ve helped a medical researcher who was developing a protocol on how to treat brown recluse spider bites using hyperbaric oxygenation. I worked with a Special Operations officer writing a paper for Air Command & Staff College while he was in Afghanistan (the books came back with sand inside, but otherwise fine). All the friends I’ve made through the years. I also enjoyed being Treasurer. It’s not as hard as being a workshop chair! Huntsville is Rocket City, so the U.S. Space & Rocket Center is on my list for visitors. It’s a Smithsonian Affiliate museum, and has an original Saturn V rocket from the Apollo program. I’m currently going through a special issue of Information Standards Quarterly on Licensing Digital Content. There are a lot of issues that we will have to deal with. The Chronicles of Narnia by C.S. Lewis. I first read them in High School, and I’ve reread them every 10 years or so. I completed a four month co-op work term at a defence library during my MLIS. The nature of the work both intrigued me and fascinated me. The work term led to a job offer and the rest is history. I enjoy the variety that working in a military setting provides. I first found out about DMIL when I joined SLA. As I was about to start my first job as a librarian, working for the military, it seemed logical to join DMIL. A couple of years later I attended MLW in 2010 and loved my experience meeting with other librarians who support military and defence. I was working alone as an embedded librarian so it was rejuvenating to connect with others in my position and share experiences and best practices. 3. How did you become DMIL Director for the SLA Conference in Vancouver? What experiences from the conference were most memorable for you? At MLW 2011 in Norfolk, VA I was asked if I might be interested in taking this position due to the fact that I am Canadian and the conference was being held in Canada. What I found the most memorable from the conference in Vancouver was the level of enthusiasm and respect that SLA attendees had towards DMIL and its activities. The networking breakfasts were well attended. At the Open House, being defeated by the puzzle was also memorable, everyone really did try their best. 4. What was the most fun place you visited in Vancouver? A tricky question! Being in the city and seeing the mountains was incredible for me, as I grew up on the East Coast and have not been exposed to any mountain ranges such as those seen in Vancouver. I was also lucky enough to take a float plane ride to Victoria, which was a unique and fun experience. 5. If you were to recommend one book, just for fun, what would it be? “Blue Hat, Green Hat” by Sandra Boynton. I have a little one at home and we are reading this one often. Reading it makes me giggle and reminds me to take time to laugh. When I was in Graduate School at Indiana University, Bloomington, I asked my advisor what kind of library positions would take me overseas. Well the answer was working for DoD overseas in their base libraries. A recruiter for the Army Library Program came to campus and I interviewed and was offered a job in Germany. I was in charge of three (3) libraries, one for only two weeks and then the US Military Districts in Germany “reorganized” and the one fell under a different jurisdiction. That was my first experience of “reorg” a common phenomenon of large organizations. My colleague urged me to join SLA but I was a staunch ALAer, until I realized that the Military Libraries Division had a Special Interest Group (SIG) as part of the local DC Chapter. So I first joined SLA in 1990. This Military Libraries Group (MLG) was just the place for me to make the kinds of contacts I needed to assist me on the job. I found I enjoyed the programs and the networking. And, when the MLG asked me to volunteer for their programming efforts I found I enjoyed working for/with the group. So the experience of being invited to programs, though not a member drew me in, it was the contacts that convinced me to join SLA. Writing this, I realize that was twenty-five years ago! What a great decision! Working overseas in a Base Library atmosphere, I felt offering the American Public Library experience to the soldiers and especially to the young children was so valuable. Collaborating with the various Wives’ Clubs to supply more Children’s Material provided lessons in fund raising, leadership, communications and volunteer management that have stood me in “good stead” throughout my career. As a special librarian in a technology library, providing the right resources, timely advice and possibilities of real dollar savings proved the worth of the library and staff. Working with other professional librarians who want to help Military Libraries make a difference. Within DMIL I have been Chair Elect, Chair, Past Chair, and Secretary and worked on the Resource Committee. Since I am in the Washington DC area I would recommend three places that reflect American History. All are, however, a little off the beaten path. One would be Gunston Hall, home of American statesman, George Mason. It is located in Fairfax County not far from Mt Vernon. Another favorite location is from the Civil War era, President Lincoln’s Cottage located on the grounds of the Soldiers Home in Washington, DC. Lincoln spent a portion of each year, mainly the summer months at the Cottage. My final recommendation would be the Udvar-Hazy Center of the National Air and Space Museum near Dulles Airport. This annex to the Museum on the Mall displays thousands of aviation and space artifacts. 7. Please recommend one LIS-specific book or article that you read recently that you found particularly interesting. What makes it worthwhile? “When Books Went to War: the Stories that Helped US Win World War II” by Moly Guptill Manning, published by Houghton Mifflin Harcourt, 2014. This book tells the story of Americans response to the Nazi book-burning. Working together, publishers, librarians and the US Government supplied G.I.’s with reading material that led to the rise of the paperback book and contemporary legacy, the Army Paperback Book Kits. These materials support deployed Soldiers of today in remote locations through regular monthly deliveries of paperback book kits, small MP3 players containing an audio book and other materials. Kits contain about 25 paperback books and are specially selected to match the interests of Soldiers. As a Science Fiction fan I would like to introduce you to the sub-genre of Space Opera and an S-F classic novel by James H. Schmitz, “The Witches of Karres.” This novel features well-developed characters, a mix of fantasy and science fiction and is “laugh-out-loud” hilarious in many places as the befuddled Captain Pausert deals with what he thinks of as three ordinary young girls (in reality very powerful young witches) enslaved during a raid on an Imperial planet. Adventures abound! I was a military wife and knew there were libraries on all military posts so it seemed a good fit to work in a system that would give me job opportunities wherever we live. I also knew that as a federal employee I could more easily apply for jobs in other government agencies to increase chances for a job as moved from place to place. Military Libraries Workshop. It showed me that this organization is focused on military libraries, a good means of keeping up with what is happening and networking with military focused librarians. My boss suggested I attend it and I was so impressed that I joined SLA and MLD (as it was known then). The best experiences for me as a reference librarian are when someone comes to me saying I need this bit of information and I’ve tried but haven’t found it or I don’t know where to start. I find great satisfaction in teaching this person better skills for finding information relevant to their needs. In some instances I feel like a champ for finding that answer that calls on all my professional knowledge and use of many resources including subject experts. When I find that information the seeker couldn’t possible have found on their own it’s great. Having a general officer tell you thanks for the facts he used in a well received speech or being acknowledged by an author in a military book make my list of bests. I don’t have a single experience but rather experiences involving new librarians who may not have ever known there are military libraries. Some have sought out DMIL activities at SLA conferences or local events to get advice on applying for jobs with military libraries. Some come to sessions of interest and discover DMIL sponsored the program. I’ve also met LIS students when I’ve participated in career events to expose students to job opportunities. I’m impressed with the new members of our profession and happy to see them apply their talents and energy to move our libraries forward. They are the future of our profession. 5. What do you want DMIL to accomplish while you are DMIL Chair? I would like our division to look realistically at our membership, our budget and programming to determine a sustainable path forward. If membership is down and attendance at MLTW and SLA annual are down, what do we need to do to provide value to our members? Where should we invest our time and efforts to ensure our division is meeting the needs of our members? I believe virtual programs need to be offered in conjunction or in addition to programs as we currently provide them. We need to figure out the best means that will be accessible to our members. We can survey our members on this but my gut instinct is that we need to address the military libraries training needs that aren’t met by educational institutions or other organizations.